The name Kokish, which is also the name of a nearby river, is said to be a Kwak'wala word which means either 'notched beach' or "place where the river spreads." The Kokish River was reported to have that name on maps as early as 1919, and is located within Beaver Cove, a part of the traditional territory of the 'Namgis First Nation. Anthropologist Franz Boas noted that Kokish was considered a place of origin, which means that there were traditional stories in the times before people or when people were first created which took place in this location. In the early historical contact times (1700s - 1800s) the use of Beaver Cove may have alternated between Indigenous tribes, which was not uncommon at the time. 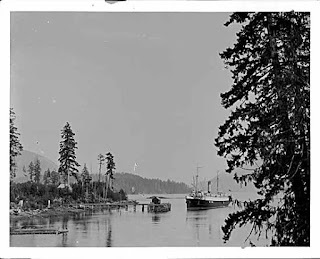 Eustace Smith, who rowed up to Beaver Cove from Comox in 1900 to take up a government pre-emption of land and begin farming, said that there was no one in the area for miles. 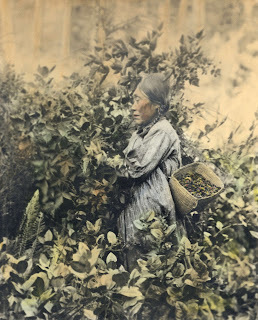 In an oral interview of BC pioneers Smith stated that to local First Nations the Beaver Cove area was taboo, as they believed that Dzunuk'wa, a supernatural being, resided there. 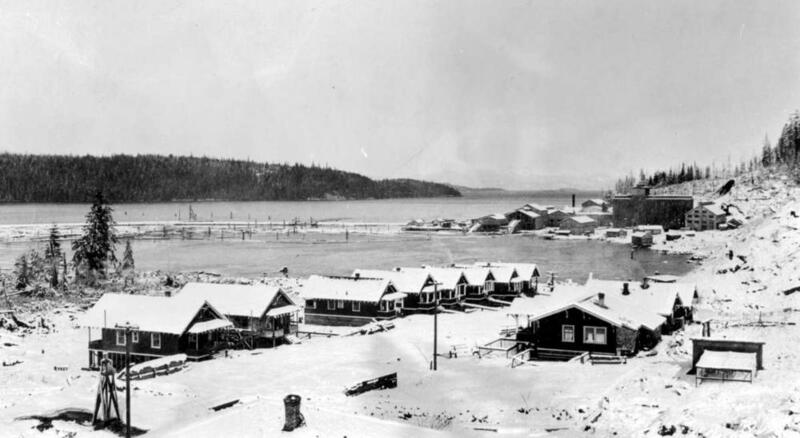 The town of Beaver Cove, which along with Englewood and East Bay made up a trio of small towns ringing Beaver Cove, was first established in 1917 to support the mills run by the Beaver Cove Lumber and Pulp Company. 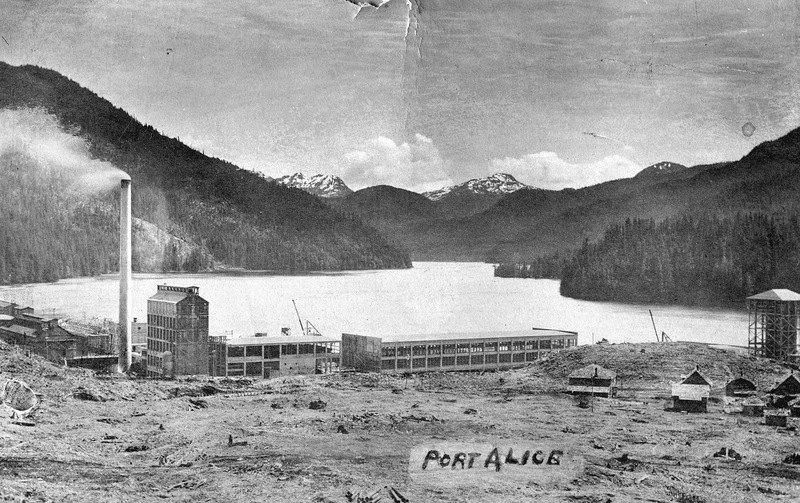 The community was home to a pulp mill, a saw mill and a shingle mill. There were over 140 employees, and the town included a settlement of Chinese workers. Unfortunately by 1920 the mill was bankrupt and the lone occupant became a paid caretaker. In the early 1950s Crown Zellerbach bought the logging rights in the area, and moved the community of Beaver Cove in order to develop a large log sorting facility at the head of Beaver Cove. The new community was named Kokish, and it existed from 1955 to 1985 up the hill on the southeast side of Beaver Cove. 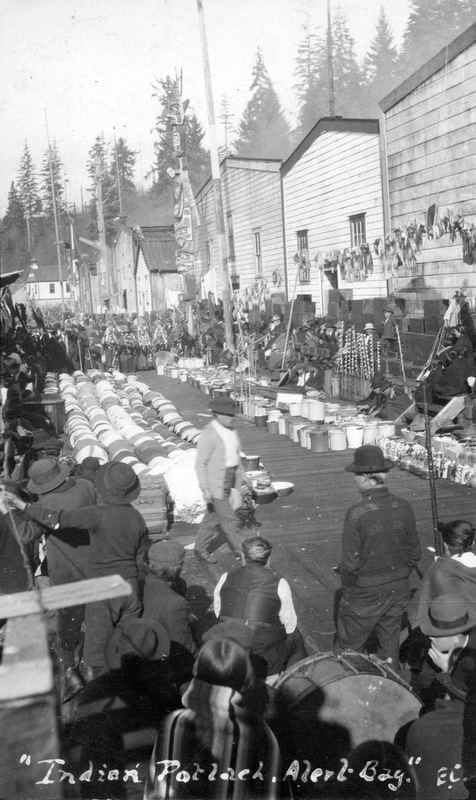 The Kokish community was close, and celebrated events together such as logger sports day. In 1981 the three room school was disposed of by the school district, and in 1985 what was left of the community was disbanded. Crown Zellerbach, which had leased homes to come families for as low as $35/mo., offered interest free loans of $10,000 to assist people with purchasing homes in Port McNeill or Port Hardy. "Way of life ending for Kokish people" in the North Island Gazette September 21, 1983 (p. 6). "Eustace Smith, the last authority" in Raincoast Chronicles 6/10. p. 272 - 275. Harbour Publishing 1983, 1994. "For Sale by Tender: Kokish Elementary School" in the North Island Gazette December 2, 1981. Photos of the Week - Recap! Every week I provide a historical photograph to the North Island Eagle, one of our local newspapers. I've been a bit negligent in uploading them here, so this column will be a collection of a number of these recent photographs! 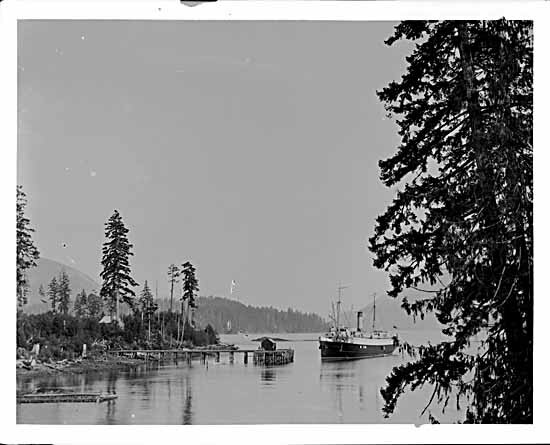 Commercial logging started in the Beaver Cove area, just South of Port McNeill in about 1908. 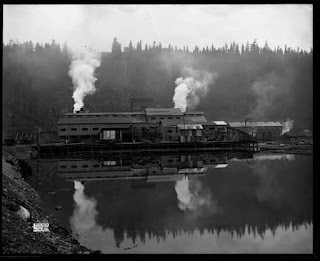 In 1925 the Wood & English company opened a sawmill in the northern part of Beaver Cove. This location provided a sheltered bay, access to deep water, and a stream which provided a source of power for the mill. The Nimpkish logging railway was redirected to the new mill, and a town sprang up in this new location.The community was named Englewood, a play on the Wood & English mill. 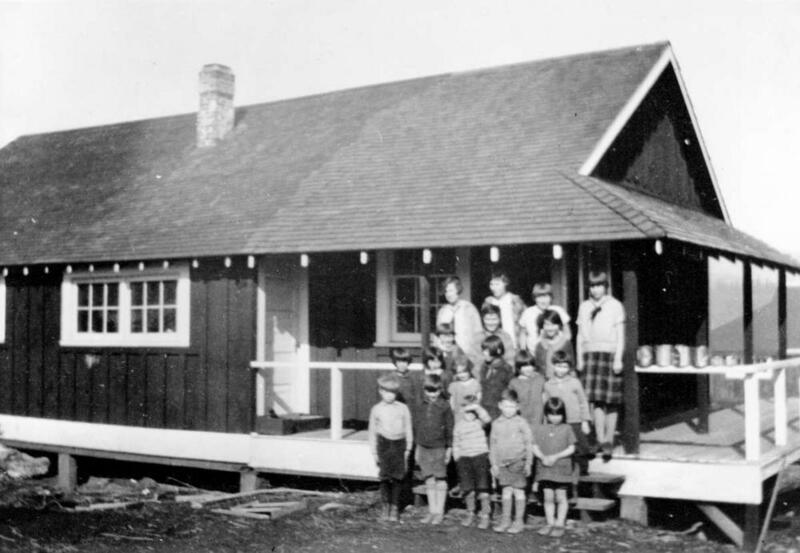 Englewood boasted a steamer port, post office, general store, community hall, bunkhouses, mill offices, married quarters, a small Japanese village, and a school. The Wood & English operated until 1941. 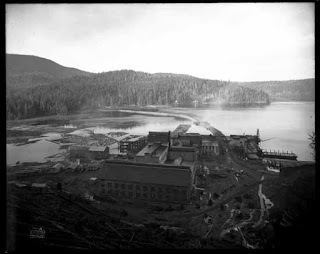 Taken by local resident Ben Leeson, this photograph of the Port Alice mill was likely taken around 1917, about a hundred years ago. The first World War created an increased demand for cellulose products, and at this time the rights to logging in Quatsino Sound were transferred to the Whalen Pulp and Paper Company, which ramped up production through new investments in the pulp mill. In the late 1800s there was a large Bering Sea sealing industry based out of Victoria. Ships were generally identified as having crew comprised of 'whites' (European ancestry), First Nations, Hawaiians, and Asian crew members. There is a record of some members of the Quatsino First Nation working on these vessels. 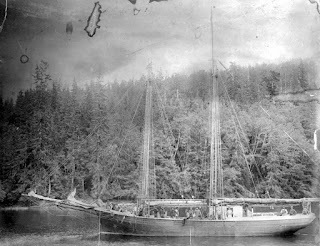 In the late 1880s there were about 65 Canadian registered sealing ships in the Pacific. This particular vessel was built in 1889 and was originally named the Sea Lion. On this trip in 1883 the ship, now called the Diana, reported obtaining 2,394 pelts, most of which were caught off the Japanese coast. Robert Hunt was born in England in 1828. At 21 years of age he signed up as a labourer with the Hudsons Bay Company (HBC) and shortly thereafter arrived at the newly constructed Fort Rupert in today's Port Hardy in 1850. 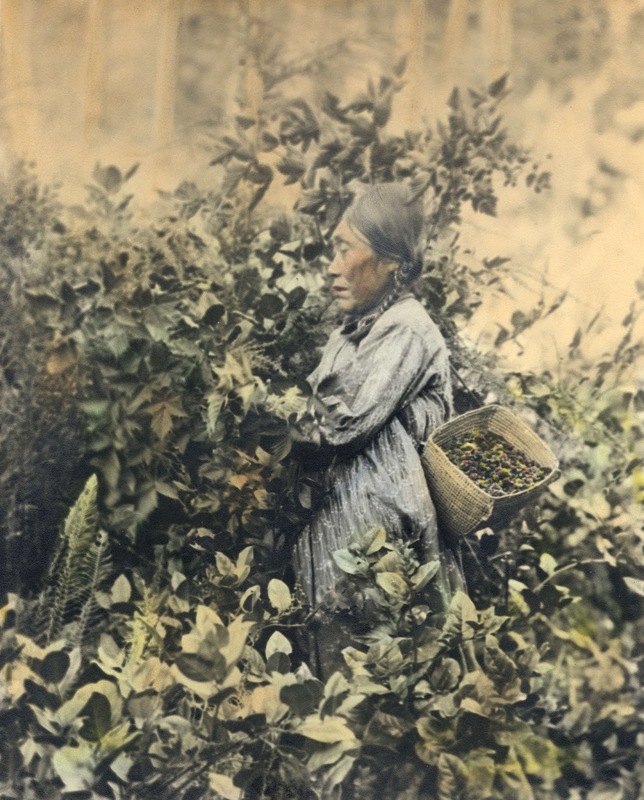 He moved on to work in the Nass Valley for a few years, and there met and married Mary Ebbetts (Ansnaq), from the Taantakwáan (Tongass) tribe of the Tlingit nation, of the Raven clan. In about 1882 the Hunts purchased Fort Rupert from the HBC. They had 10 children, and many of their descendants still live in the North Island to this day. 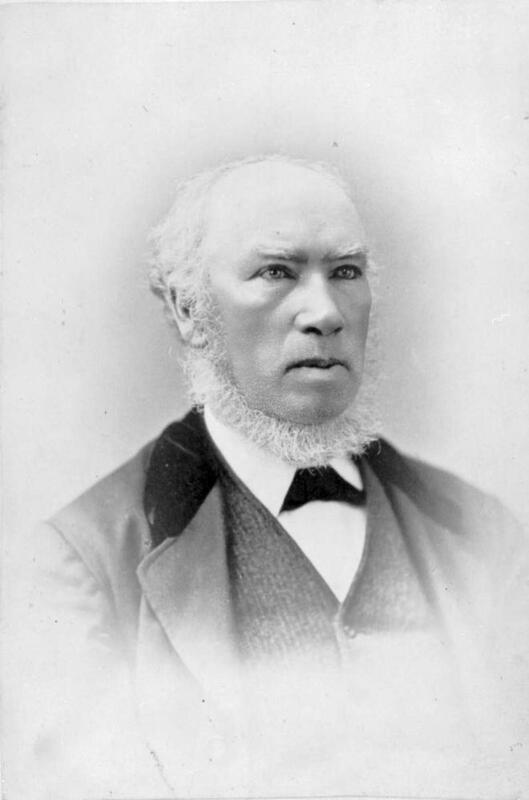 One of their sons, George Hunt, became an expert on the language and customs of the Kwakwaka'wakw people.